Just popping in to say Happy New Year mi amigos! I hope you all are having a muy bueno start to 2012 and enjoyed a fun evening last night ringing in the new year. I spent it doing all the things I love to do. Cooking (sushi to be exact, with a tutorial to come at a future date), sitting on laps, licking myself, munching on luscious baby carrots and of course, sleeping. Ahh yes, this is going to be a fabulous new year indeed. Now I know a lot of people out there like to make a list of new year’s resolutions that they hope to achieve or at least attempt to do for a short period of time. And I also know that these resolutions are often times quickly forgotten soon after when old habits rear their ugly heads. Hey, ain’t no shame in that. One of my resolutions for 2011 was to refrain from barking at non-existent people or animals walking around outside our front door, but apparently that didn’t last too long. I also vowed to try and not dig up cat poop buried in our backyard, but based on the yelling and screaming coming from mi mama when I’m out in the garden, I didn’t hold myself to that little goal either. At least I am admitting all these things, and they say admitting is the first step, right? Can I help it if my short-term memory is horrible and…. hmmm, what was I talking about again…. Ahh yes, resolutions. So despite previous years being somewhat of a failure when it comes to setting goals for myself and following through with them, I still made one for the new year and I am determined to follow through with it no matter what. Even if it means staying up way past my bedtime or having to cut back a bit on my social schedule. So what is your new year’s resolution, you may be asking. Well I’ll tell you. My resolution for this new year is to be the best little chef and blogger that I can possibly be. And what exactly does that mean, you may also be asking. Well it means that my goal for the year 2012 is to not only post a new and delicious recipe on a more regular basis than I have been (i.e. less sporadically), but to also branch out into different areas of baking and cuisine than I have previously (i.e. homemade bread and pizza doughs requiring yeast… that kinda stuff just intimidates the heck out of me). So expect to see some fun and exciting new things popping up on TeenyLittleSuperChef.com. First things first. Let’s start the new year off with a tasty guacamole recipe. Wat do you say? Now I’m sure you’ve all had guacamole before and you may even have had some really awesome guacamole before. But you definitely haven’t had any mega super delicioso guacamole until you’ve had my guacamole. Make a batch and you’ll see what I’m talking about. 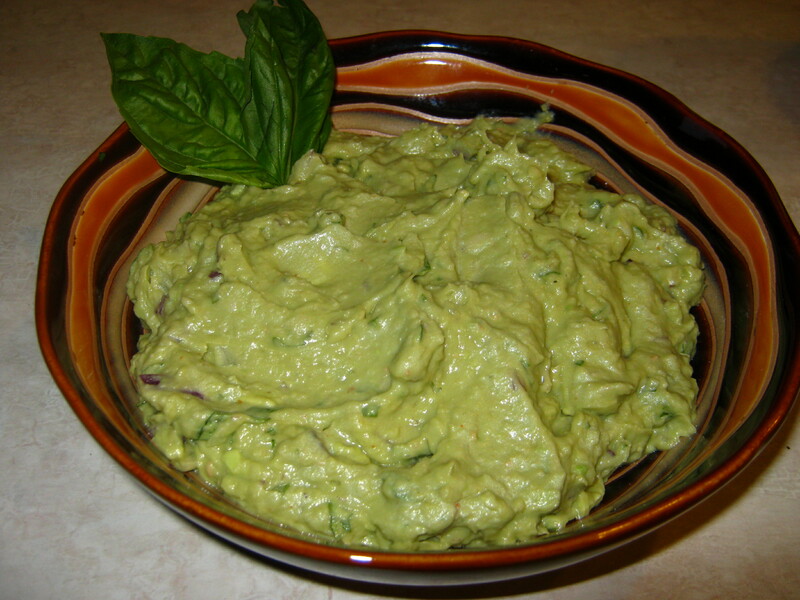 1) Combine avocados, beans, lemon juice, hot sauce, minced garlic and jalapeno in a food processor until smooth. 2) Transfer to a mixing bowl and add in all other ingredients. Stir to combine. Add spices and salt and pepper to taste. 3) Serve with chips, raw vegetables, alongside a batch of enchiladas or just spooned directly into your mouth like it was a jar of peanut butter. I’m looking at you mama. This would make a perfect addition to any holiday, New Year or upcoming Super Bowl party. Or just a great way to use up those ripe avocados in your fruit bowl that you bought the week before and can’t figure out what to do with. Plus with the addition of white beans to the mix, it not only adds more volume and creaminess, but also a hefty dose of protein. It’s like a whole meal in one small bowl! Well muchachos, I must be going. Another one of my resolutions was to get in better shape so I can fit into my Speedo once summer hits. 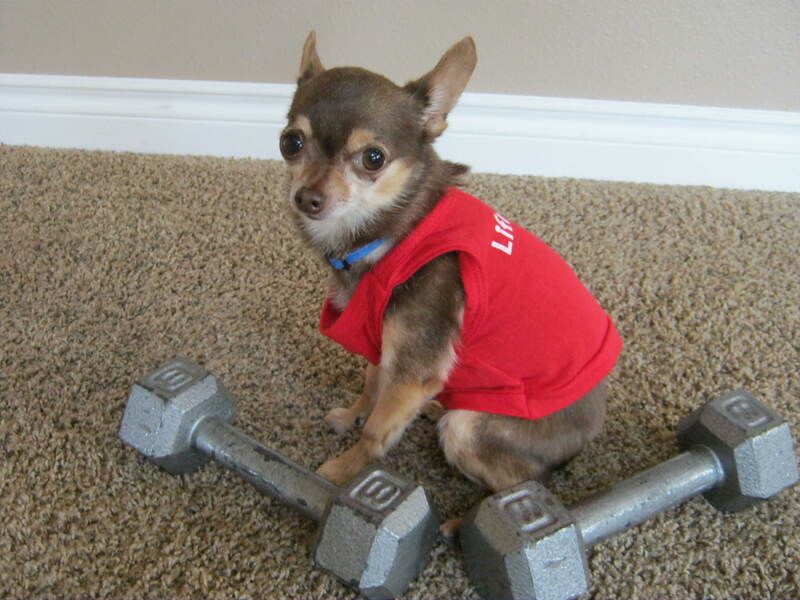 Gotta go pump some iron.